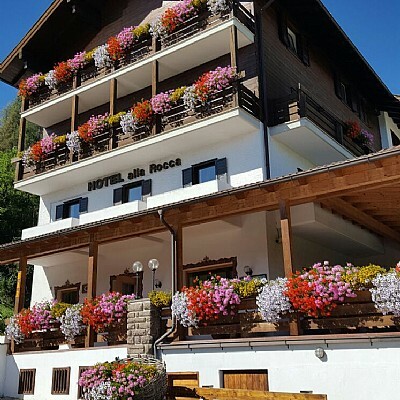 Hotel Alla Rocca is located in Varena, in Valle di Fiemme, where you can experience the atmosphere of days gone by, and just a few minutes by car from the centre of Cavalese. 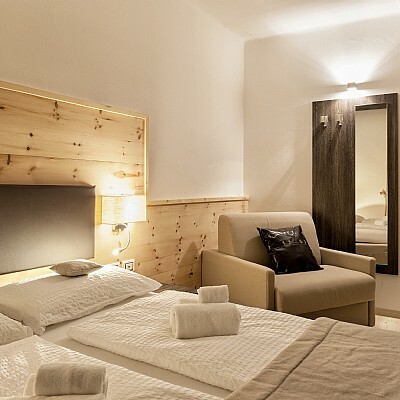 Not far from the Lavazè plateau and the skiing resort of Cermis, the hotel is the perfect base for discovering the local wonders during excursions, sporting activities and skiing trips, as well as all the relaxation that a holiday in Val di Fiemme can offer. The new family management will guarantee you an informal, happy and lively holiday in a simple and cosy setting. Hotel Alla Rocca is especially suitable for young, sporty and active guests who love the mountains but is also great for families, who will fall in love with Val di Fiemme thanks to the many activities on offer for children. 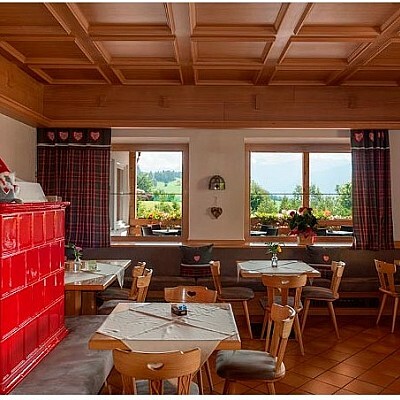 Hotel Alla Rocca boasts 36 rooms, 12 of which have been completely renovated with materials traditionally used in the mountains, and the majority of which offer a breath-taking panorama of the peaks of the Valle di Fiemme - a spectacle that will greet you every morning when you awake. To us, “holidaying” also means allowing yourself to be pampered: at the end of your day exploring the beauties of our region, therefore, we will be waiting for you with an extensive buffet in the lounge, featuring homemade desserts. Or, if you prefer, you can enjoy a well-deserved rest in our small relaxation centre, equipped with sauna and hydromassage tub. We haven’t forgotten our youngest guests: children, whose needs are different to those of adults… Our mini club, equipped with games for little ones and big ones, as well as many other activities, is waiting for them to enjoy. An inviting buffet will greet you every morning to Hotel Alla Roccage you up for a magnificent day ahead in our mountains: homemade desserts, seasonal fruits, organic and gluten-free products… The half board or full board options will give you the chance to taste the flavours of traditional cuisine, with typical dishes and much more. All accompanied by an extensive buffet of antipasti and side dishes, and finally the temptation of specialities from the local cake shop. The staff of Hotel Alla Rocca will be on hand to meet all the dietary needs of our guests.